The S&P/TSX closed lower for more than half of the trading sessions in the three months ended Dec. 31, 2018. In recent months, stocks have been hammered with equity markets repeatedly experiencing a string of triple-digit losses. The S&P/TSX Composite Index posted a loss of 11 per cent in the final quarter of 2018, the worst performing quarter since 2008 when the Canadian economy was officially in a recession. 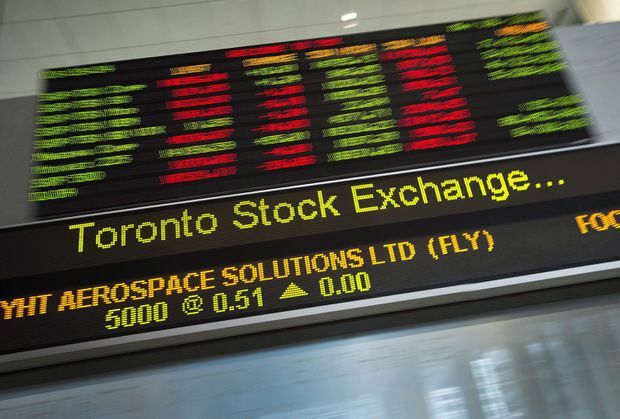 The S&P/TSX closed lower for more than half of the trading sessions in the three months ended Dec. 31, with single-day losses exceeding 1 per cent nearly 20 per cent of the time. Algorithmic trading fuelled intraday volatility, tax-loss selling added to the downward pressure and buyers simply stayed out of the markets. Even company insiders appeared hesitant to make meaningful purchases despite depressed stock prices and low valuations. The intense market volatility has been driven by a number of factors including recession fears, tightening monetary policy, concerns over decelerating earnings growth, slowing domestic and global economic growth, a flattening yield curve that is close to inverting, the collapsing price of oil and trade uncertainties with China. The S&P/TSX is now trading at levels last seen in 2016 and at a forward price-to-earnings multiple of about 13 times the consensus 2019 estimate – a level not seen since 2012. Is the stock market now close to a bottom or is there a further downside? How should investors position their portfolios in the current environment? The Globe and Mail interviewed three industry pundits who outlined their market outlooks, which may help investors navigate potential market volatility in 2019. With a tepid outlook for the Canadian stock market, Mr. de Verteuil stresses that investors should be increasingly defensive given the expected heightened market volatility. Taking an opposing position, Mr. Vallée believes now is the ideal time for investors to reduce cash positions and buy stocks, given their attractive valuations. Mr. Leith recommends investors remain fully invested throughout this market turbulence.